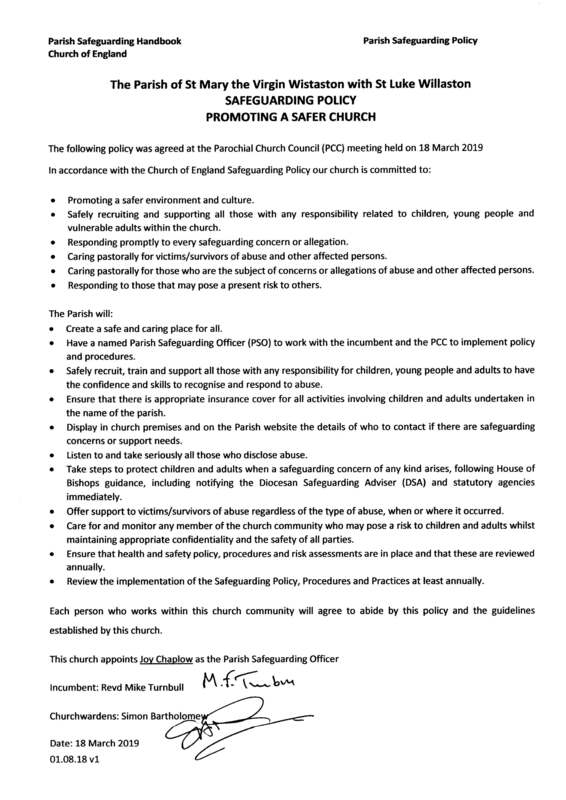 In March 2019 the PCC adopted the House of Bishops’ National Safeguarding Policy & Practice guidance which has now been formally adopted by the Diocese and throughout the Church of England. You can find out more about the national policies and procedures at www.churchofengland.org/safeguarding . If you have any safeguarding concerns or issues of a safeguarding matter then you can find useful contact information at www.chester.anglican.org/social-responsibility/safeguarding . The PCC have appointed Joy Chaplow as our Parish Safeguarding Officer. ​All those work with young people and vulnerable adults in our church have an advanced DBS check and supply online Safeguarding Training to the Clergy, PCC Members, Church Officers and Junior Church Leaders. Action on Elder Abuse - UK Charity addressing elder abuse within people's own homes (whether by family, friends or paid staff), within sheltered housing, and within care homes and hospitals.